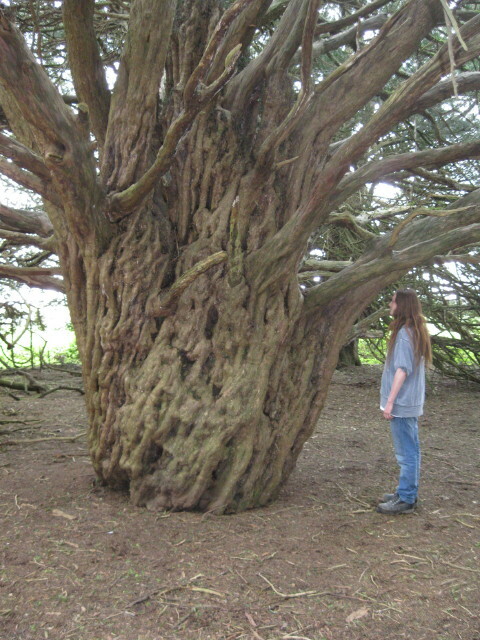 All trees are remarkable and for me the one that is the most remarkable of all is the yew. It’s certainly not the loftiest or perhaps the prettiest; consider a broad leaf parkland beech in full summer, or the Autumn display of golden brown in our forests. But a closer look at the yew reveals a tree with truly remarkable characteristics: its ability to regenerate, to grow in the shadow of loftier neighbours who grab the light above, the genetic diversity within the species and its impact on the development of humans over the centuries. Much speculation abounds around the age of yews. Recent developments in this field of research suggest that the yew is incredibly long lived. There are seven stages in the life cycle of this tree. They are: 1. seedling 2. juvenile 3. mature 4. hollowing 5. hollow 6. shell and 7.ring. It is not possible to determine age through dendrology – the counting of growth rings – due to the hollowing stage in its life cycle, or through carbon dating due to the aerial roots that clad themselves in trunk bark and eventually turn into new trunks themselves in the hollow and shell stage. It is a very slow growth tree. Rings can be counted on specimens up to the mature stage but on some specimens these growth rings are less than 0.3mm across. Then there is the added inconvenience of having an irregular ring count; as an example one tree studied had 200 rings on one side and 50 on the opposite side of the trunk, hence dendrochronology can not always be employed. Nor is measuring the girth of the trunk reliable. Depending on local climate and nutrient, the girth of similar aged trees can vary enormously. An alternative method of determining the age comes from written records, particularly church records. Also, the mention of yews in early trade and commerce, and in literature from around the world, can be helpful. As a rule of thumb based on the above evidence, it is certain that trees upto the mature stage are between 300 and 500 years of age. Thereafter things get a bit more tricky with regards to establishing age. Once the mature stage has been reached, the tree may stand for several centuries before hollowing takes place; this next phase again is a very gradual one. 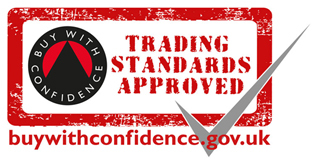 It starts with specialised fungi attacking damaged trees – the damage is usually caused by storms. So if you visit a hollowing tree (there is one such tree in the church yard at Breamar), here you are looking at a living tree that was thriving as a juniville during the great plague whilst in South America the Aztecs were at their peak – between 800 -1000 years ago. The trees foliage during the hollowing process is often intact and supported by the trunk. During the hollowing stage the formation of a tap root that grows down to ground level and into the soil drawing up nutrients often takes place, a perfect example of a tap root can be seen in Lavant near Chichester in a church yard. Professional estimates put this tree at 1400 years old. During the hollowing stage lower branches begin to bow down to ground level and if unabated by man will eventually take root themselves, forming a ring of new vigorous trees around the parent tree. Ultimately, the parent tree collapses to become hollow; the main trunk can no longer support the canopy above and with time the main trunk rots back leaving an irregular stump, with new growth in the form of a ring often forming a 360 degree circle. The parent tree is now at the shell stage and here you are looking at a tree of between 1500 and 2500+ years old. That puts the juvenile tree back to the dark ages, or some time before or around the time of the birth of Christ. DNA analysis has proved that the DNA of stump remains are identical to the tree ring, thus they share the original root stock. There is a yew wood in Wiltshire that has among its members ancient and vintage specimens displaying the bowing down of lower limbs that are taking root and at least one shell. 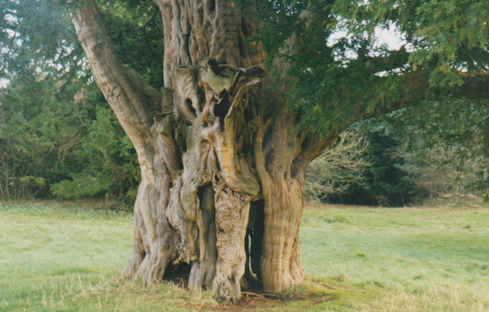 There is the possibility that some of those truly ancient yews are the remains of previous ring trees, the formation of interior root formation and the layering of lower limbs enables the tree to renew itself, resulting in no part of the tree being as old as the living organism itself. There are approximately 1300 ancient or veteran yews in the UK. They are not protected, which is very worrying. Today Germany, Austria, and Switzerland have between them less than 10, Spain and Italy around 150. All are protected – the sole survivors of the longbow mania that swept across Europe during the 12th and 13th centuries. The reason that there are so few vintage or ancient yews surviving in Europe and the Baltics is because of the long bow and its deadly performance. British yews however survived for two reasons: they were found frequently in church yards so it was taboo to fell them, and they were often knottier and generally not suitable for bow making. For over a thousand years, the long bow reigned, not only for hunting but also for war. Ranging in length from 5ft to nearly 6ft, these bows packed a powerful punch. The sapwood of the yew is elastic and stretches on the outside of the bow whilst the heartwood compresses on the side facing the archer thus creating a natural composite weapon. By the 8th century, the Vikings had developed the longbow for combat with a range of some 100 meters (320ft), but by the late middle ages further development increased the range to 300 meters (900ft) with devastating results and with little loss in velocity. An archer could penetrate the chainmail of an enemy at 200 meters (640ft). Indeed, combatants could be ‘nailed’ to their mounts by arrows that pierced armour, leg and leather saddle, penetrating deep into the horse. King Edward I made it obligatory for all able-bodied men to posses and practice archery and be ready for immediate service if called upon. During the 13th century, six battles secured the English as a formidable fighting force: Falkirk 1298, Bannockburn 1314, Dupplin Muir 1332, Cressy 1346, Poitiers 1356, and Agincourt 1415. At Poitiers the English were outnumbered 10 to 1 but went on to win and at Agincourt 900 men-at-arms and 5000 archers felled between 20,000 and 30,000 Frenchmen, many of them mounted in armour. England became a major player in Europe because of the yew. Yew became the commodity of the day, much as oil is today. The British Isles certainly could not sustain the demand for bows so imports from Ireland and Spain filled the gap, but soon these sources became exhausted. An international trade in yew developed from the Baltics to Germany, Holland, and Italy, as well as further afield into Turkey and Eastern Europe. A vast, well-documented trade network developed, all going one way: to England. Millions of bows were imported. A manmade ecological disaster was in the making. In the Alpine countries, the first compulsory protection order was made in 1507 but it was ignored by the companies that were engaged in the wholesale destruction of the yew, and also the consequent destruction of forest, caused in the extraction of the yew. It became inevitable that supply would outstrip demand, and by 1550 that was the case. Right up to the present day, yew has never recovered. For over 200 years the long bow made from yew reigned as the weapon of choice. The inferior musket was the fall back. A skilled archer could discharge 6 arrows to every 1 musket shot – but there was simply no more trees left. So if you are fortunate enough to come across a Yew tree on your walk, consider not only its ability to regenerate, but also its role in history. It is the reason why this island nation had so much influence, not only in Europe but also further afield. When I visit the Wiltshire yew wood I mentioned earlier, usually I make a day of it. I sit, ponder, meditate in the silence and in the company of such giants, and get a better perspective on things. I leave recharged. Yew tree at Breamor in the hollowing stage the ground around this tree is some 18” lower than the root system exposed suggesting centuries of erosion. i love this forest so much! each tree is as incredible as the last! a real pure, untouched corner of the south of england!